DJTT’s latest soundpack maestro Stoopit Fresh is back for the second edition of Soundpack Thursdays. 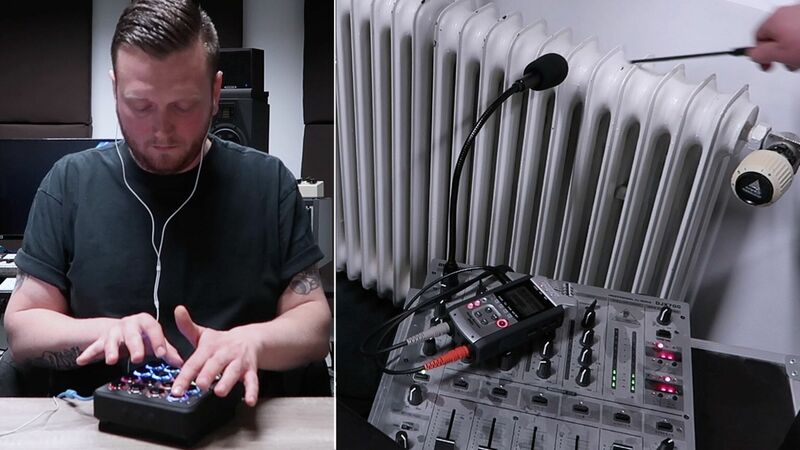 At least twice a month, Soundpack Thursdays happens at DJTT, bringing with it a new freely downloadable finger drumming performance pack and a behind-the-sounds video to show off how each one was made. Today’s soundpack, “That’s Right” is now available. I started off sampling 2 vocal chops from a RnB acapella – one was straight sampled and pitched, the other looped, played and processed. Next I sampled a handful of drum sounds off the iElectribe iOS app. The Wavestation plugin was used for the chord strums. I played around with automation on various parameters. I got a toy flute out from the kids room and sampled a bunch of held notes – then tuned, played and resampled a melody. I got a nice “That’s Right!” vocal sample off a Batman record. For some nice textural percussion sounds, I sampled some shakers while playing a video with rainforest sounds, hitting a heater with a metal stick, some paper crackling, a electric kettle and a tambourine.